The Walt Disney Family Museum. 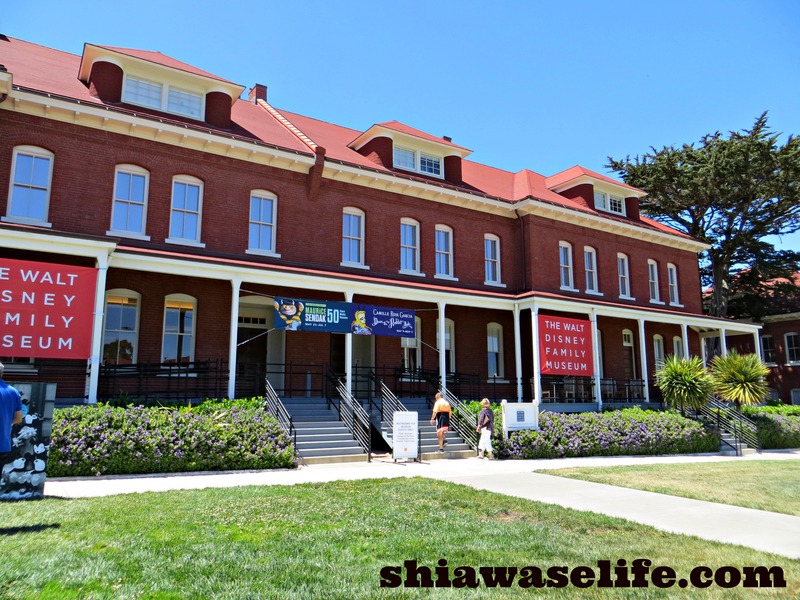 Once we were showered up and ready to go after The San Francisco Marathon, it was time to head to one of my MUST DOs of the trip: a visit to the Walt Disney Family Museum! I was already pumped to pay this unique museum a visit, but after recently listening to the WDW Radio Podcast’s recent review, I couldn’t wait to get there! Since the race was technically still running and we were somewhat limited on time, we opted to cab it over to the Presidio, where the museum is located. It was about a $20 cab ride, and $20 pp admission, then we were ready to explore! The first portion of the museum starts with a darkened room with an introduction to Walt Disney, the man. 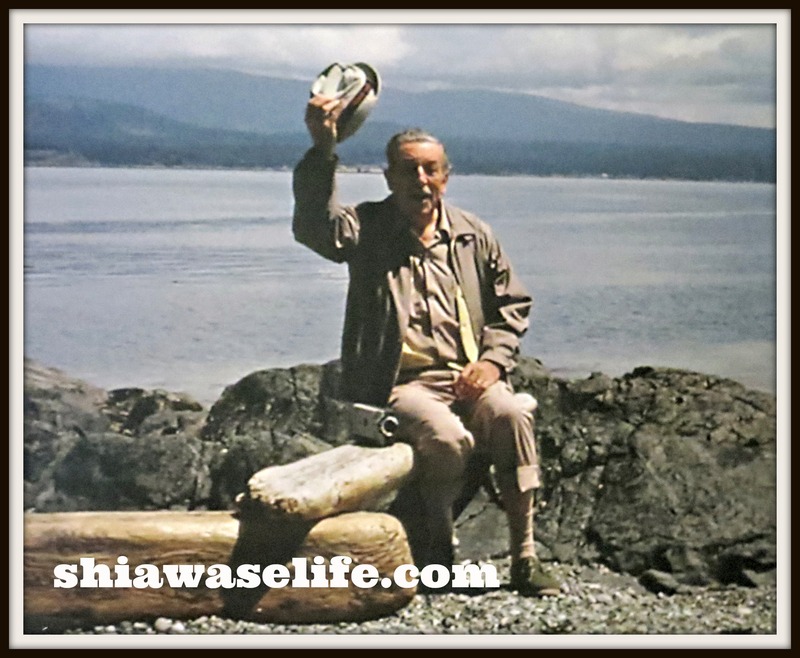 The beginnings of his life, including his early upbringing in Marceline, MO, to the family’s move to Kansas City, and beyond, you are instantly immersed into Walt Disney’s life. I liked the juxtaposition of pictures, videos and little momentos (the document that was forged so that Walt could join the Ambulance League during WWI, etc) and have to admit, since I am definitely a history nerd, I knew all these things already – so it was amusing that hubs was taking a long time to move through this portion! I was ready to see more! …and more there was! 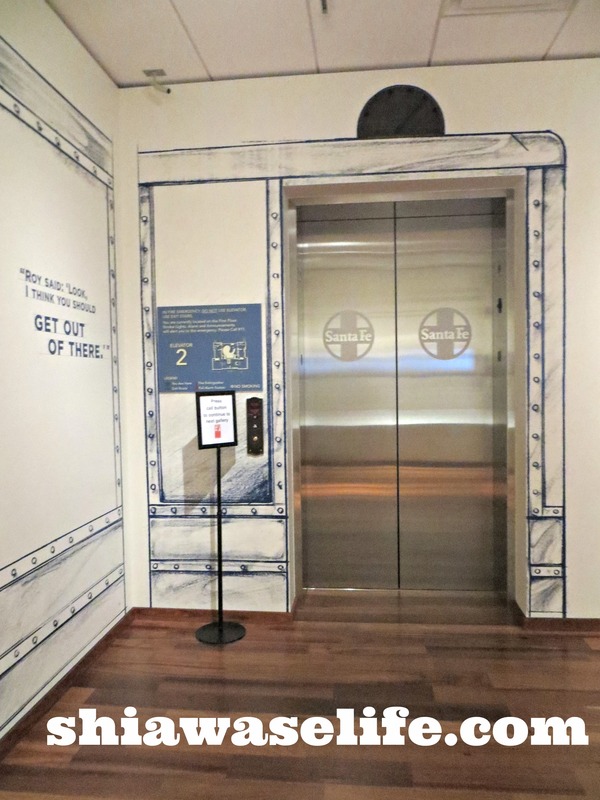 To move to the second level of the museum, you had to call the lift, which was designed like a train car, as it signified Walt’s trip to California! I was snapping away! I was so excited – especially since photographs were originally not allowed in the galleries! You just had to make sure that you had your flash off. 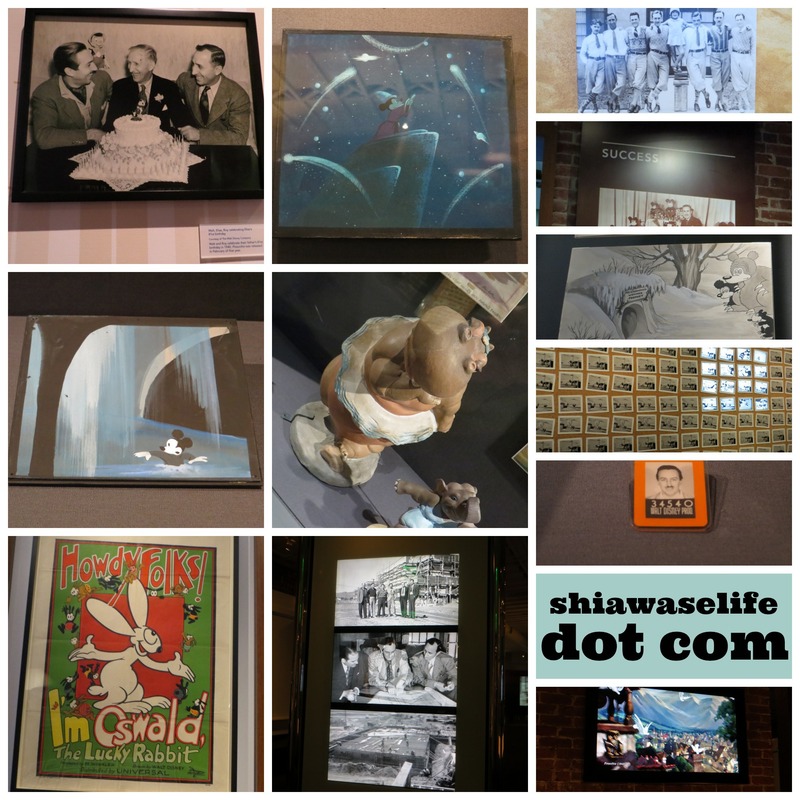 As we traversed the museum, we were moving along through the decades, from the world of simple sketches, to the first animated features and more! I loved seeing all the pictures, posters and even character models along the way. Rounding the corner as we left the animation area, there was a HUGE picture window where you had an INCREDIBLE view of the Golden Gate Bridge…that was super amazing – but what really caught my eye was a faded and peeling bench at the end of the walkway, with a plaque next to it (see above). 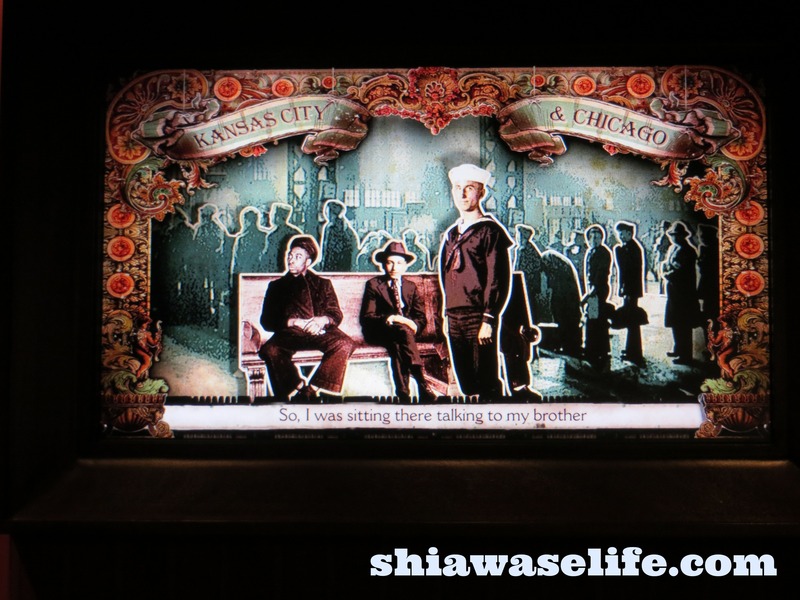 It’s actually a bench from Griffith Park – where the dream for Disneyland really began working in Walt Disney’s head! 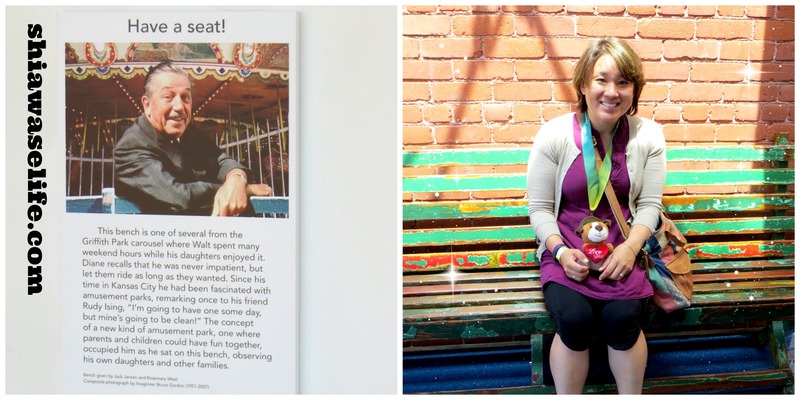 What a neat little stop on our visit 🙂 I HAD the get a pic with Wiggles – and yes, I was dorkily wearing my SFM medal proudly! But, the museum was not done impressing us yet! In the center of the room, flanked by an enormous, spiral-y walkway, was this model of Disneyland! It’s hard to describe how large it was, but it was just incredible! 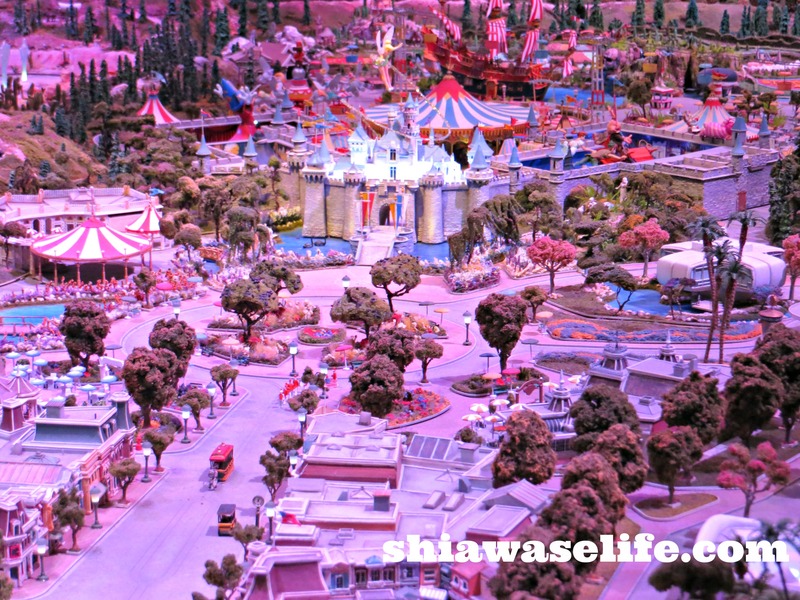 It featured many popular attractions, as well as an idealized look at how the park would flow – from the monorails and boats, to the mountain ranges and streets. So cool! After analyzing all the parts of the model, I took nothing short of 25-30 pics of the Mary Blair inspiration/it’s a small world images (I’ll save those for another day) and before we knew it, we were in the last quiet room of the museum – a somber, yet very tasteful treatment of Walt Disney’s death in 1966. 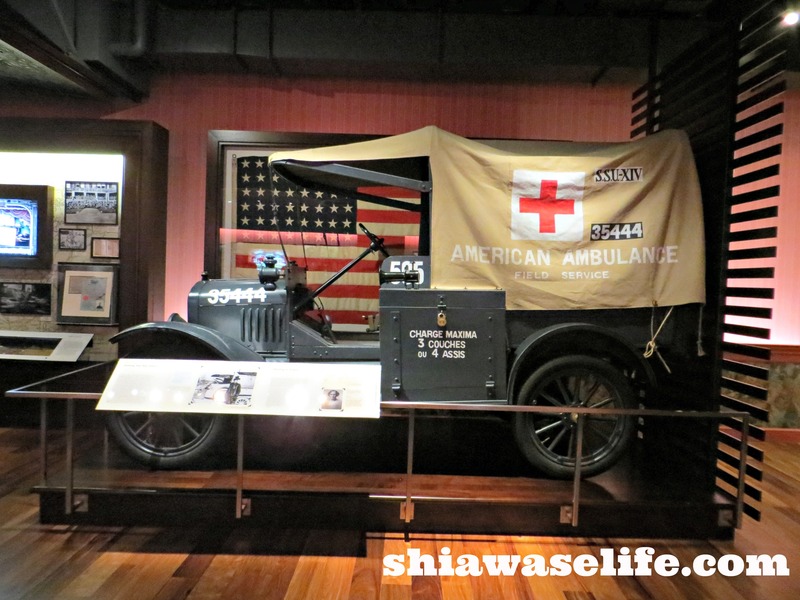 I was so thankful that we had an opportunity to visit this special museum. As a former Walt Disney World Cast Member, lifelong fan of Disney and lover of history and popular culture, it was a priceless experience that only enhanced the magic that I felt in the city of San Francisco. I’d recommend a stop here to anyone that might feel the same I do – or even those that maybe might not understand. …but our trip wasn’t over yet! Stay tuned for next week’s round up of our busy day! I really enjoyed that museum while I was there a couple years ago. A must see for WD fans! Very cool!! It’s been on my list to visit. One of these days I’ll make it there! I would love to visit this museum. Thanks for sharing all the photos….you have probably encouraged many to make a trip!